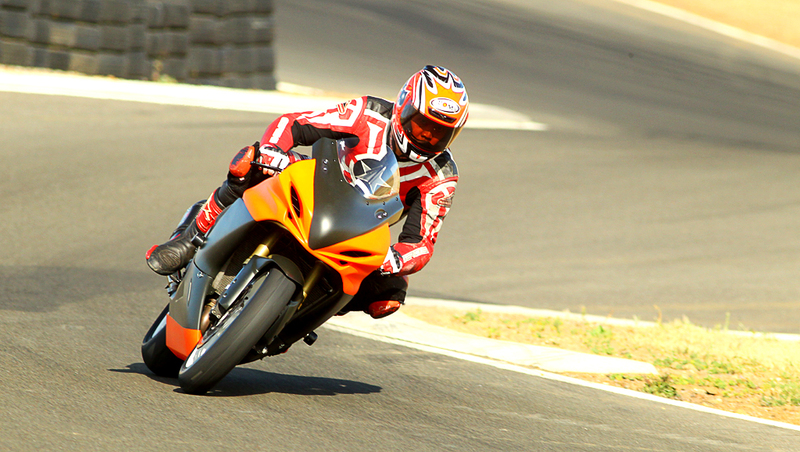 The last time out at Thunderhill I got to do some ‘shakedown’ laps on a friend’s late-model Suzuki GSXR750. My friend Eric unfortunately had a crash on it in October 2015, but it had been professionally gone through and put back together since. Understandably, there was a bit of reluctance on Eric’s part to hop on the bike for the first time since his accident, and on brand new tires at that. Being the good friend that I am, I offered to scrub his tires down and shake the bike down out on track to make sure it was working as it should. 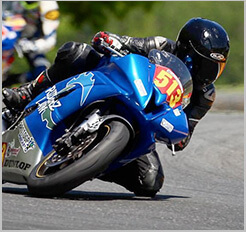 Eric’s Suzuki is fitted with a quickshifter. I had briefly ridden with a quickshifter a long time ago but never out on track, which really is the best place to try a quickshifter out to truly appreciate having one. Since it was new to me, it took a couple upshifts to remind myself and my muscle memory that I didn’t have to let off the throttle to upshift, being so used to doing so when I would clutchless upshift on my R1. When I finally got used to just keeping the throttle pinned as I quickshifted, oh man, I couldn’t not have a quickshifter any more. Thing is, it’s not that I’ve never wanted one. It was just that given my R1’s age, the convenience of buying a quickshifter to plug straight into the bike or the Power Commander (PC) I was running was not a luxury I had. Most people forget that at this point my 2002 Yamaha R1 is already fourteen years old. It’s relatively ‘old’ that even the PC that came with my bike when I bought it used is an obsolete model. Dynojet (makers of Power Commander) doesn’t even make my PC anymore; the oldest PC model they have available is the generation that replaced mine. 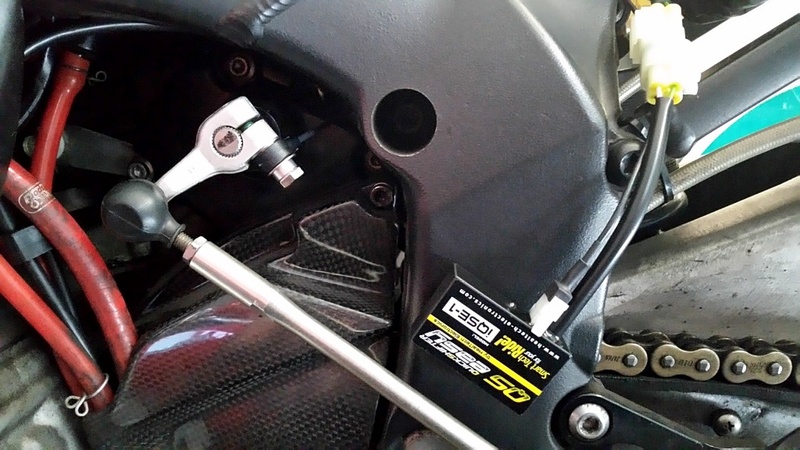 I know this because I’ve called Dynojet about fitting their quickshifter in my bike and each time they’ve told me that I not only need to buy the more modern PC, but also their Ignition Module and then their quickshifter for my R1. So instead of shelling out the good amount of dough to fit a quickshifter to my R1, I just continued on living without it. But now I can no longer maintain life on track without a quickshifter. I have to have one. It’s past being just a matter of convenience and now it’s my R1 needing one. Wide-open throttle AND clutchless upshifting? I’ve been holding back on an enormous amount of time to be shaved off my pace just because I haven’t fitted one to my bike. Coupled with my friend Rob not too long ago telling me that there is now a stand-alone quickshifter available in the market that neither needs to be plugged to a PC or the ECU itself, and I just cannot not have one anymore. 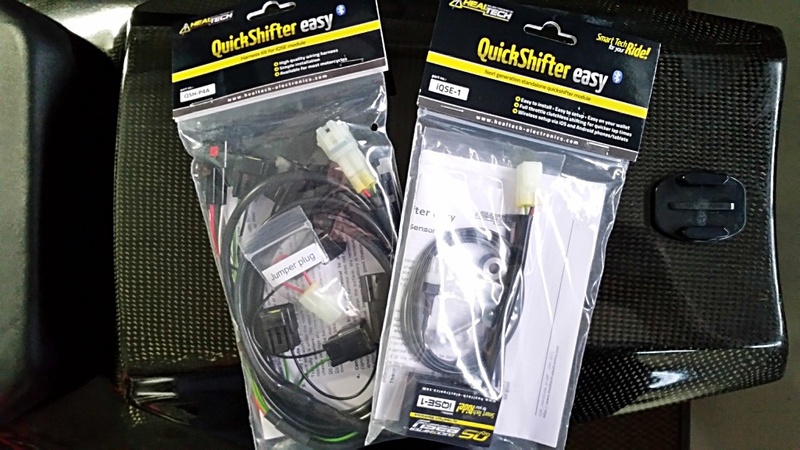 Enter HealTech Electronics’ QuickShifter Easy (QSE). Mind you, even with my intermediate ability to wrench on my own motorcycles, I detest working on anything electronics related. I just won’t touch it. I’m afraid that me touching one electronic end just creates problem at another end. No thank you, I would just drop the bike off to Rob’s shop each time there’s an electronic issue to be sorted. So even when I took delivery of the QSE, I sat on the idea of installing it myself long enough that maybe I can just drop it off with my bike to Rob’s shop on the next available weekend. But installation is supposed to be simple. The QSE comes with the sensor, the module, and the wiring harness to be connected into the motorcycle. The model-specific QSE wiring harness just plugs in between the ignition coils and the OEM harness, while the sensor can either go right on the shift rod or the shift arm, and both then plugs into the QSE module. It did seem simple enough so what the heck, I gave the installation a try. Let me tell you, installation was simple alright. In fact, I probably spent more time neatly routing and tucking the length of all the wires within the motorcycle and finding the best place to mount the module, than actually getting to my ignition coils to plug the QSE harness to. Of course, it was so easy that I was nervous I must have messed it up somehow. But lo and behold, the bike turned on, fired right up, and a quick straight-line test ride through all the gears showed everything in working order. I couldn’t believe it! For about $300 dollars and half an hour’s worth of wrenching on my bike, and I finally have a quickshifter! I can’t wait to try this out on track, just to see how much time I can shave off just with this simple addition to my R1.